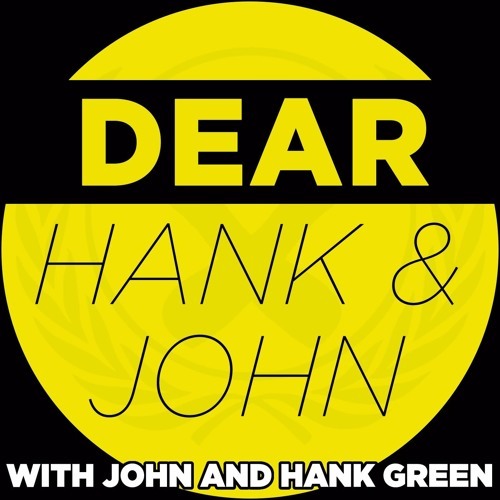 John’s voice sounds so different, Hank sounds the same though. Those people who were leaving were probably the same people who stop listening to the podcast after the questions are over. I HAVE THE SAME NAME AND THE SAME ISSUE!!! AND I DO THE SAME THING!!! does John sound especially nasally? just curious.. I was there! My name is Ryan too! Even better, as long as you keep working at it you'll probably be fine. Heck, I once met a lady that is quite successful without a high school diploma. She has a PhD and teaches history at the University of Chicago while also writing novels. why does John sound so nasally? whats wrong with johns voice? @chris-lauber-53167446: He said it live! John pointed to Hank whenever there was a science word that he didn't know, it was really kinds cute! HHe said the word live! John pointed to him whenever a science word he didn't know came up, It was really cute! I love Abundance of Katherines! Download 084 - Live from NerdCon: Nerdfighteria! Users who like 084 - Live from NerdCon: Nerdfighteria! Users who reposted 084 - Live from NerdCon: Nerdfighteria! Playlists containing 084 - Live from NerdCon: Nerdfighteria! More tracks like 084 - Live from NerdCon: Nerdfighteria!